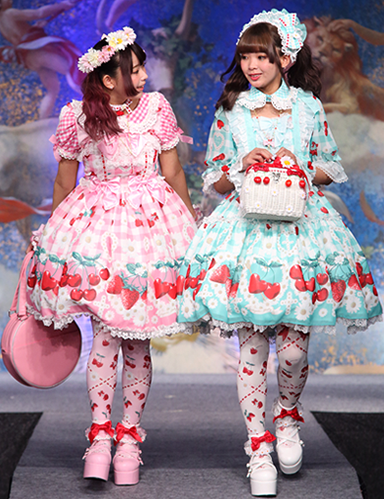 More clearer picture from Angelic Pretty's fashion show were posted since all prints have been pretty much revealed! I think the two girls wearing Cherry Marguerite look super cute! This really does make the dress look a lot better! Though I think the little collar to the OP just looks weird, doesn't need it at all! The print looks super cute, looking forward to gingham blouses and berry accessories!